I’m Visiting the Queen Tomorrow so…………. 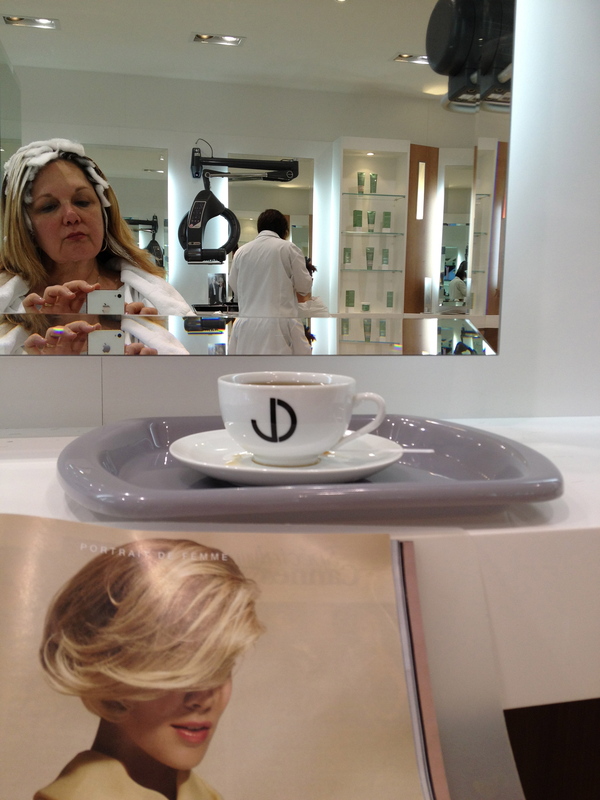 I couldn’t resist having my hair done at my old standby Jacques Dessange where I went “back in the day” -Those days were? You ask……..
income and flew to Paris on my passes to get my hair cut and colored. At Jacques Dessange. For the weekend. and maybe even in the US, for all I know, but “alls I know,” (that’s a horrible Missouri expression) is that we have been invited by the British ( I can’t say which association – but you can guess) and we are delighted to go, despite having to find garb in all RED WHITE and BLUE. I found a few things in my closet, left over from past Fourth of July events in the US, – I hope it isn’t too dated. I’ll let you know by how many stares I get. But honestly? To find a pair – absolutely LOVELY little red shoes, to go with what I already owned, caused extreme apoplexy – 170 EUROS………yes – you heard that right – it’s EUROS, and it’s 170 of them, and yes, they were Repettos, but STILL FOLKS………..I can’t DO THIS!! So, I have something that will work .No, I’m not wearing the Union Jack. It just plopped itself at the end of this post. But I sure loved those bright red repettos! I always find RED, love Red, love RED, but NO to those RED REPETTOS!!! so COOL that you went to that shop in St Charles. Good for you!!! You always amaze me. and Richard replies……”I went to St Charles to see the Queen” – ha ha – it has a ring to it , eh?